I was requested specifically for this project based on my work for the TEA. Lots of user serveys and testing. 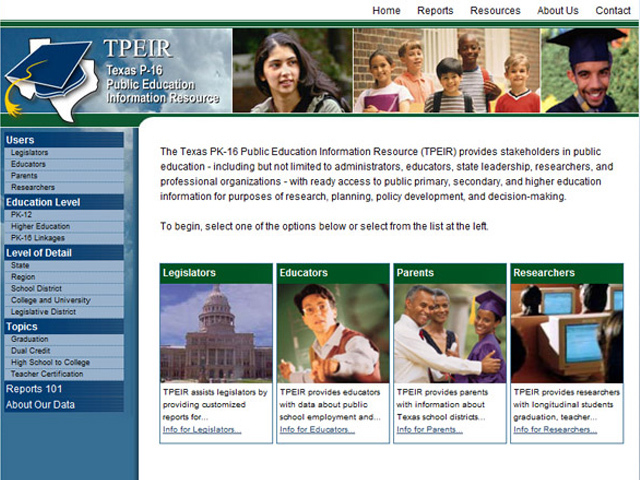 The Texas Education Agency called me for this project based on my previous work on the TPEIR website. 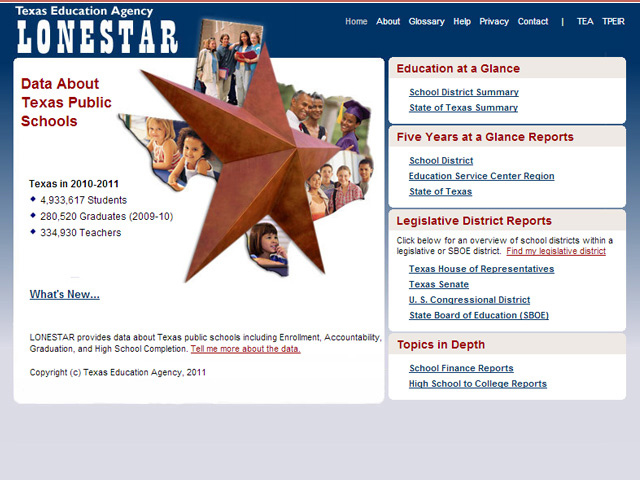 The design was "enthusiastically approved" by the Governor's Office. Which is just cool. 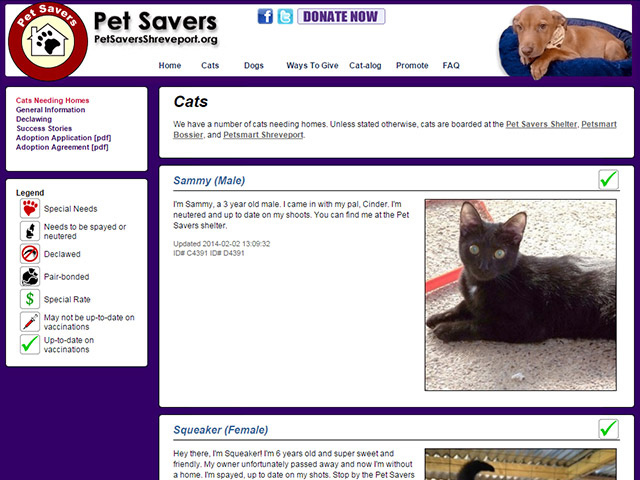 I love animals and creating this site for Pet Savers has helped them place well over 3,000 dogs and cats. My first site for the TEA. They hired me for two weeks and I completed their requirements in two days. 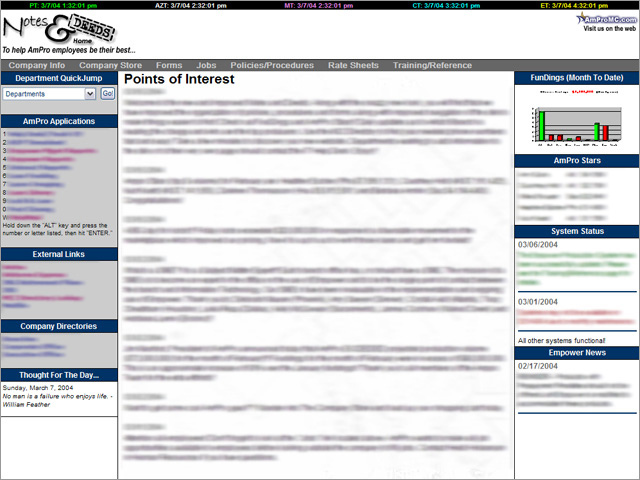 I asked if I could give it a bit more of an overhaul and focus it on user personas and they said yes. 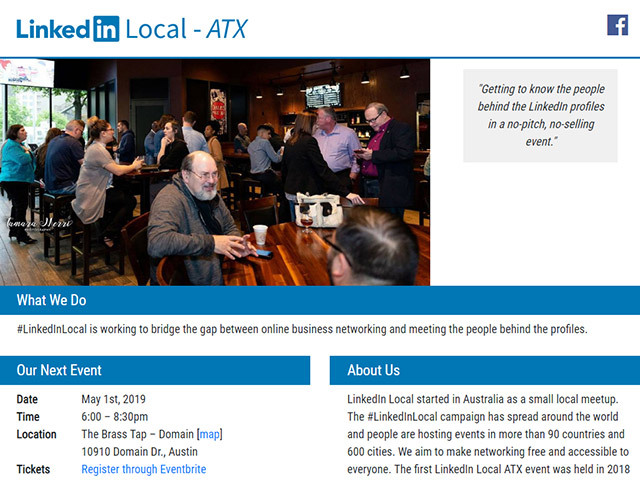 LinkedIn Local- ATX needed to be rebranded very quickly. I created a mockup in Sketch on Friday and launched it on Sunday. I created and sold multiple unauthorized expansions for "Cards Against Humanity" on Amazon (with an average rating of 4.2). 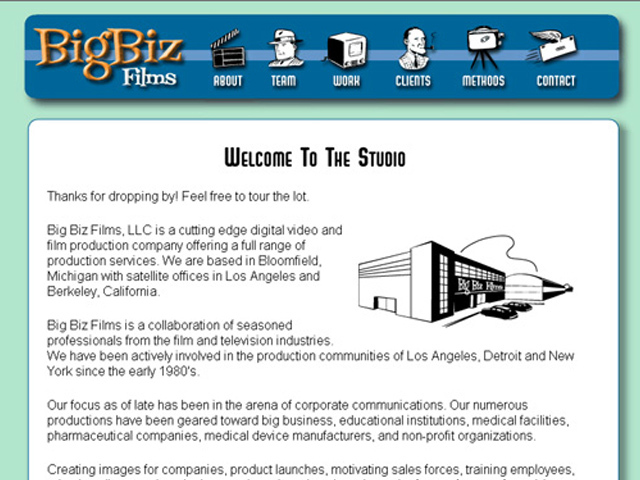 Until I got the Cease and Desist letter from them. 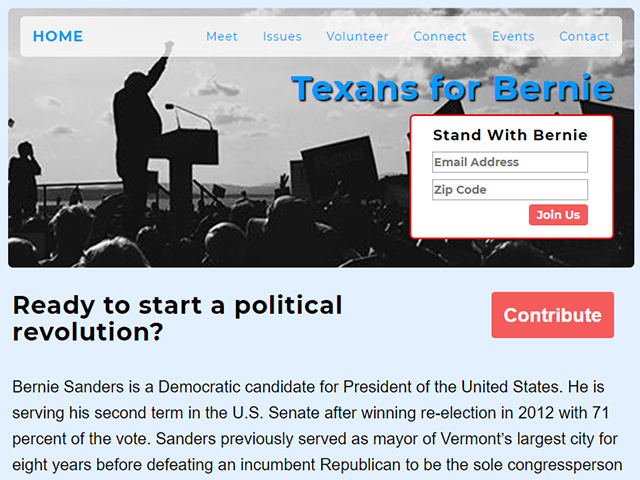 Texans for Bernie from 2015. Straightforward web dev. 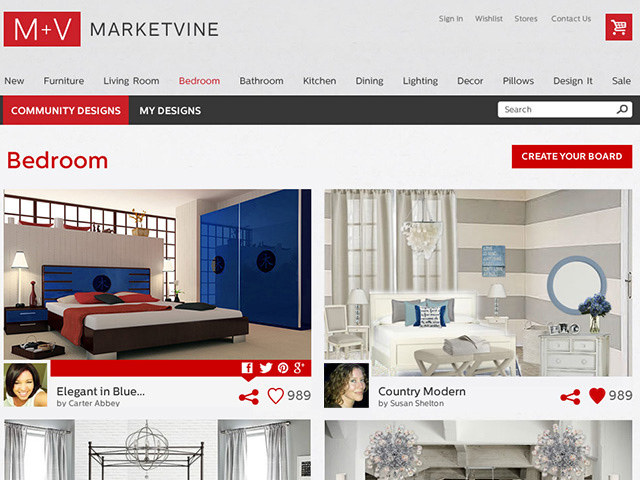 An interactive mockup demoing multiple Marketvine products. 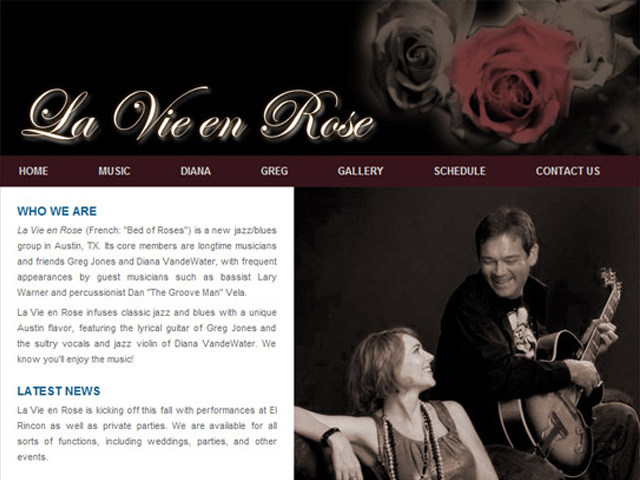 A great vocal/guitar duo. I'd organize the pages a bit differently these days, but I got to play with embedding media players and creating download-for-pay links. This was a dance event that I put on. This was also an excellent demonstration of the importance of delegating. 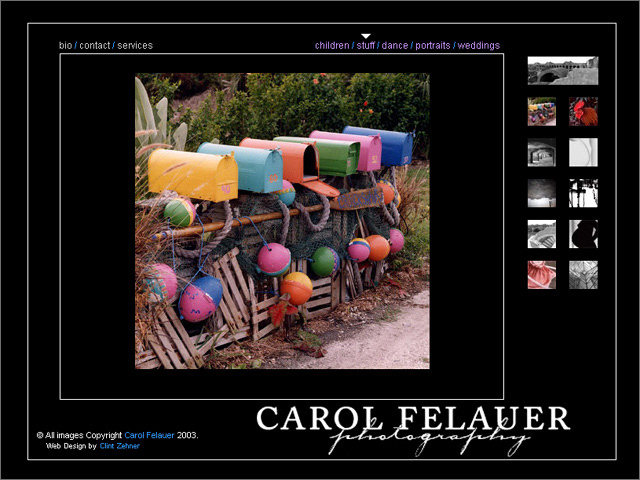 A photographer's website from the old-school days of table-based layout. Word. 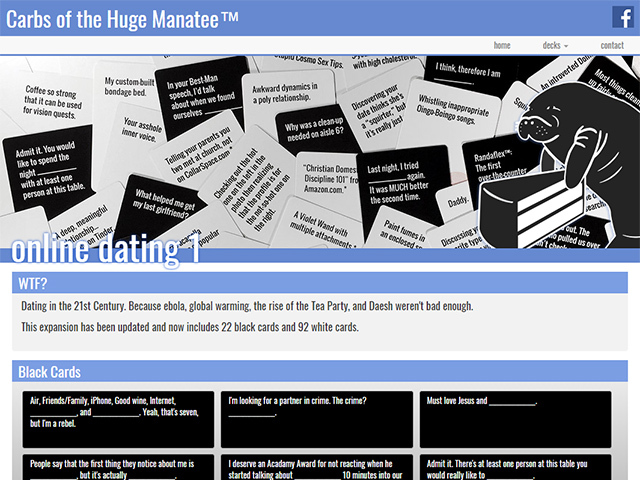 I'm including this because it was just a fun site to build. 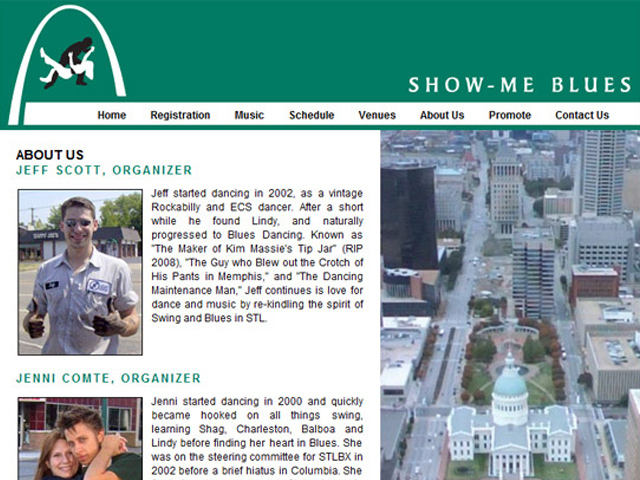 One of over two-dozen websites that I've designed and built for dance events all around the country. 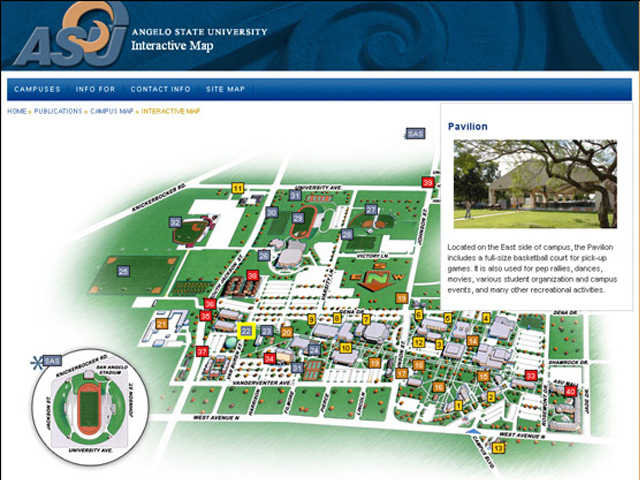 A really fun map page to build out. 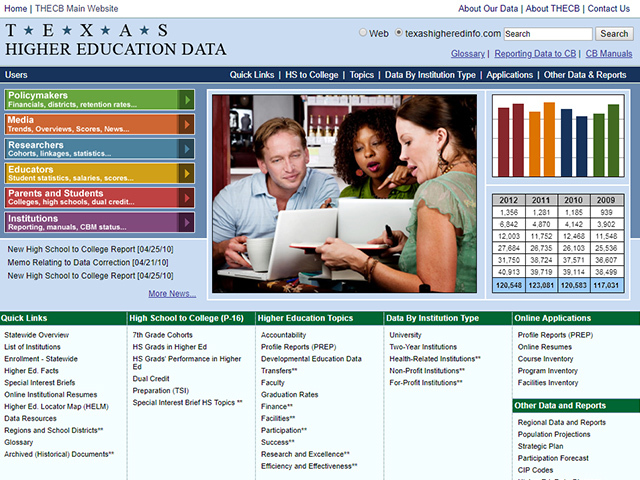 Plus a bunch of 508 compliance updates. 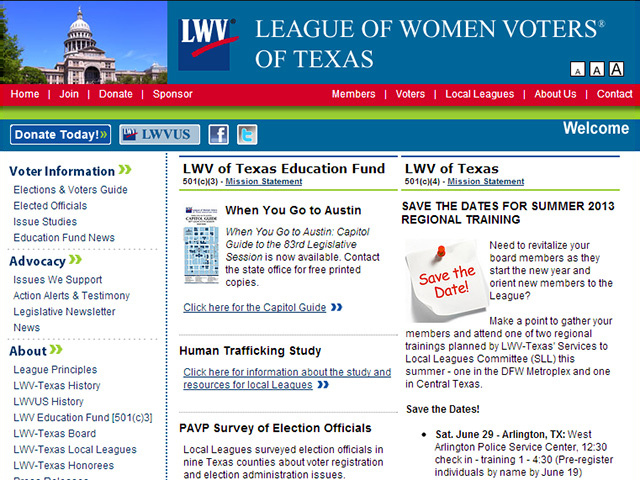 A quick overhaul of the LWV of Austin website. 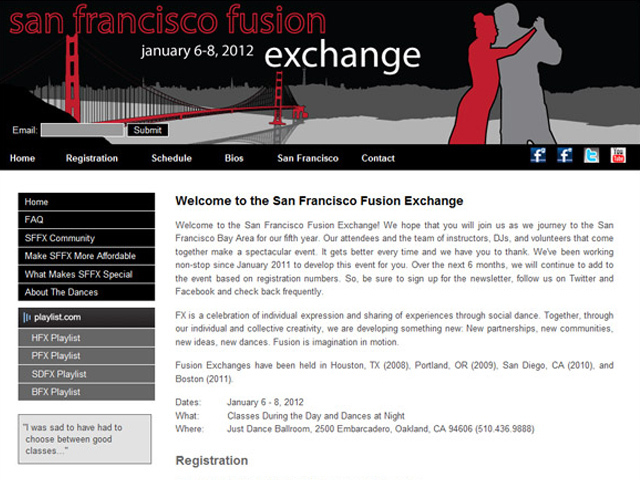 One of the x-Fusion Exchange websites. 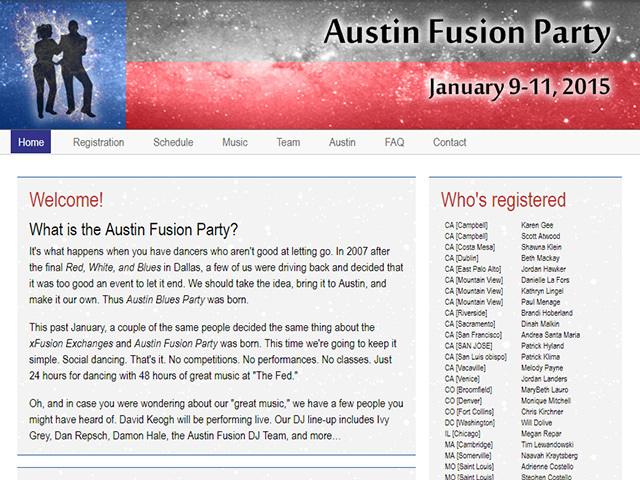 I had a national reputation for creating dance-event registration systems, but this one put all of my skills to the test. 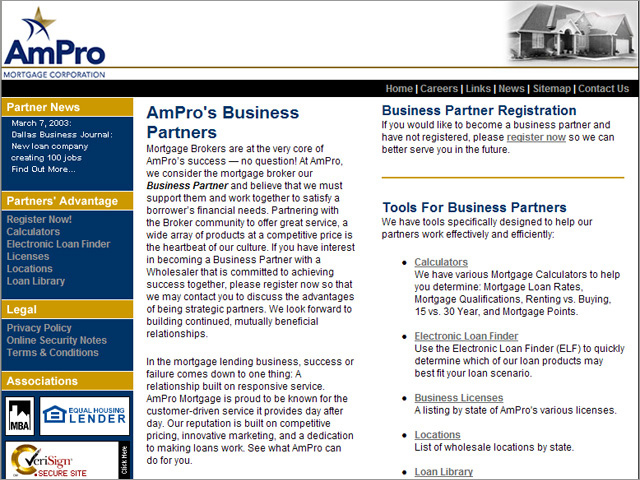 A generic, corporate mortgage-servicing website. 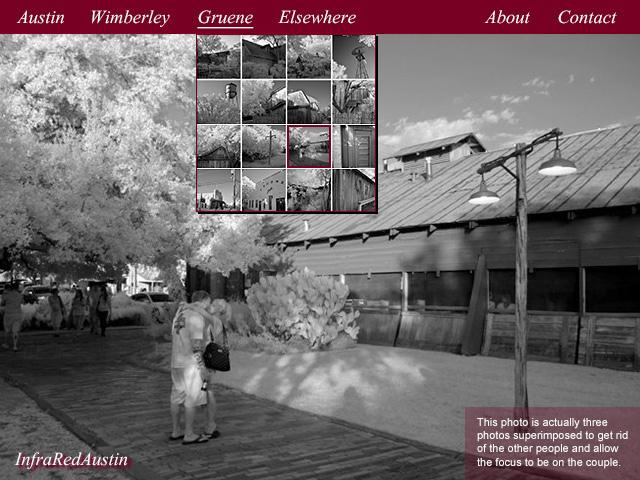 This is a mockup I created for displaying my infrared photos. Then I ended up posting them on FaceBook instead. 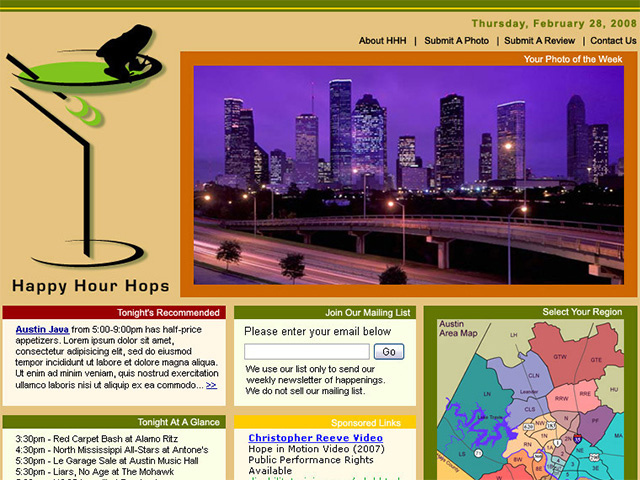 A mockup for a site that was going to track happy hour deals. 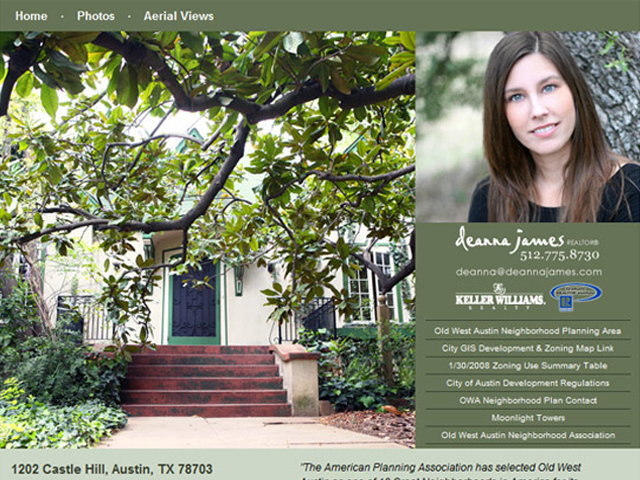 Client realized how much work would be required to maintain it and changed her mind. 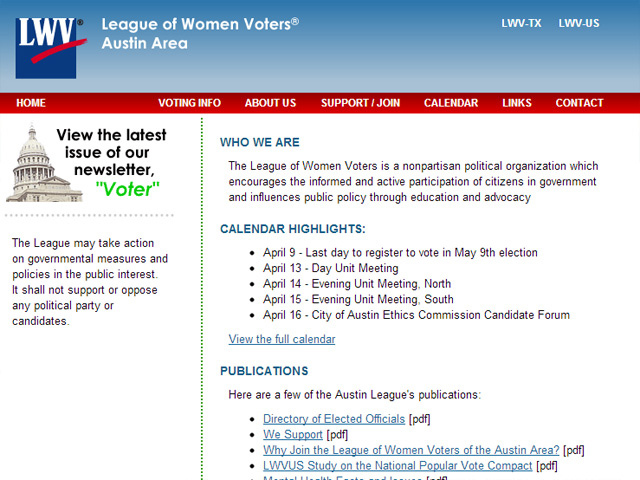 A mockup for an updated "Notes & Deeds" intranet.